According to the latest Energy Infrastructure Update, released from the Federal Regulatory Commission’s (FERC) Office of Energy Projects, April unambiguously confirms the ongoing trend of renewable energy’s dominance in new supply of electrical generation in the United States. Wind and solar accounts for 100 percent of new generating capacity placed online in April. Jumbo Road Wind, formally known as Hereford-2 Wind Farm Project brought 300 megawatts (MW) of new wind generation online. Combined with 211 Megawatts from the Mesquite Creek Wind Project and 50 MW from six “units” of solar comprised the sum total 561 MW of new generation in April, all of it from renewable energy sources. 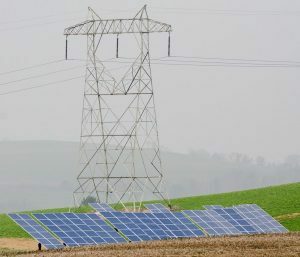 Of the 1,900 MW of new U.S. electrical generating capacity placed into service during the first third of 2015, more than 84 percent is from renewable energy, including wind, solar, geothermal and hydro. Renewable sources of energy now account for 17.05 percent of total installed operating capacity in the U.S., with hydro at 8.55 percent, 5.74 percent from wind, 1.38 percent from biomass, 1.05 percent from solar and 0.33 percent from geothermal. Total generating capacity has expanded by well over three percent since 2010. Wind capacity alone accounts for more than of oil and solar capacity has seen a ten-fold increase since 2010.